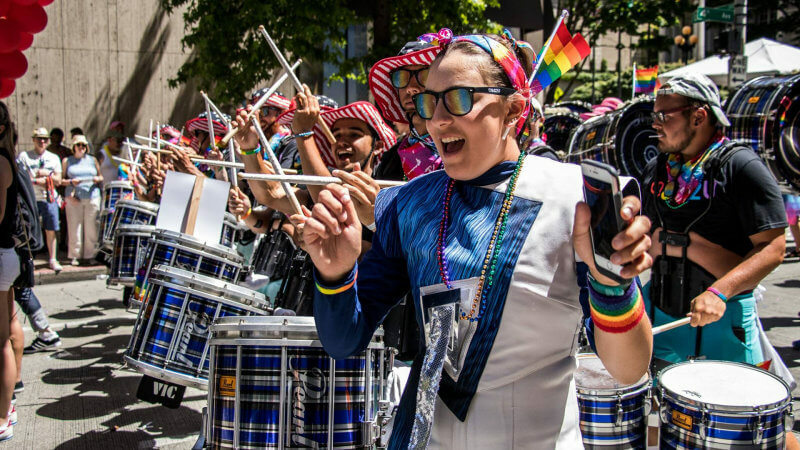 Members of the Seattle Cascades drum line showcased their talent while supporting the LGBTQ community during downtown Seattle's Pride 2017 celebration on Sunday. 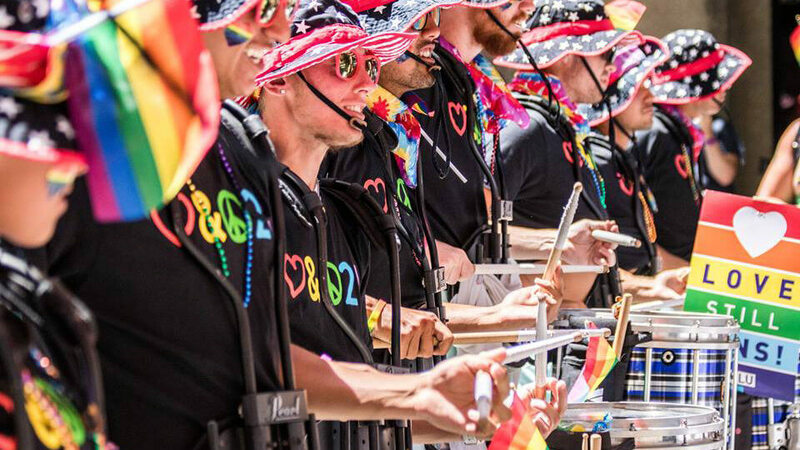 In the corps' first time performing in a Pride parade, the drum line, along with a drum major and corps director Michael Tran himself, marched two miles along streets filled with thousands of people in support of diversity and inclusiveness. Tran said he is extremely proud to have had his corps at the event. “The reason we did this is because there's so much diversity in our activity,” he said. “Last year we had a transgender member in our corps and everyone accepted it. We promote diversity, inclusion and acceptance. This parade celebrates that, and we want to be a part of that ride." 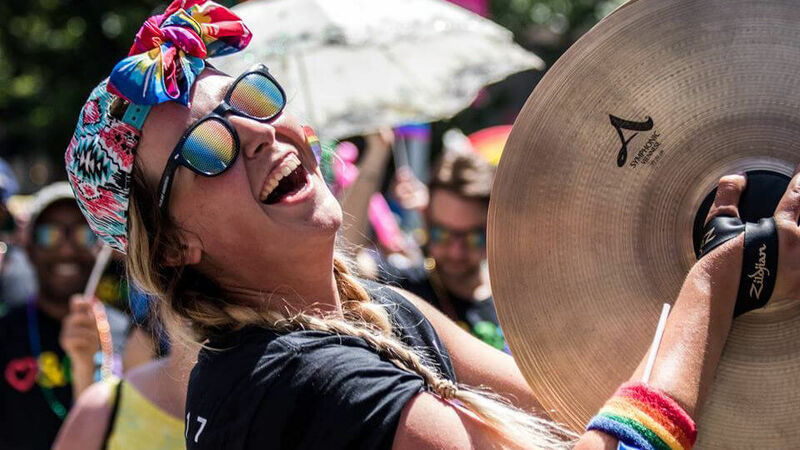 The performance opportunity came about when organizers with the Nordstrom company, whose employees annually take part in Pride celebrations across the country, decided they wanted to add a new level of musical entertainment to the Seattle event. Tran says that he has always thought of drum corps as an activity that inherently emphasizes inclusion and diversity. “I remember marching as a corps member and finding out how many people were from different backgrounds,” he said. “Why not promote and celebrate that?" Corps members took a two-hour drive from Yakima to Seattle to get to the event on Sunday. The group played for the entire span of the two-mile march, which took about an hour and a half. “I don't really know any other drum corps that have done a Pride parade like this before, but we definitely left an impression on everyone who was there,” Tanaka said. Although 2017 will be Tanaka's last year with the Cascades after he “ages out” this summer, he said he hopes the Cascades organization continues to support events like this in the future. “Regardless of the actual specific location or demographic, I think the more that you can give back to the community, the better,” he said. “Drum corps is an activity where things change all the time. There are different rules and different regulations, but there's also a progressive mindset that continues to push the drum corps activity forward."